The murderous urges of a vampire obsessed young man are quelled by the arrival of a girl. Gritty takes on the vampire mythos are nothing new. Filmmakers like George Romero (Martin), Abel Ferrara (The Addiction) and Larry Fessenden (Habit) have given us downbeat, unromanticised movies that view vampires as victims of disease or addiction. Debut director Michael O'Shea's The Transfiguration follows this path to some degree, but it's not short on romance. Indeed, you're unlikely to see a more romantic movie all year. Teenager Milo (Eric Ruffin) is a social outcast, bullied by the residents of his tough New York neighbourhood. With both his parents dead and his older brother (Aaron Clifton Moten) too feckless to keep an eye on him, Milo is left to his own devices, immersing himself in his obsession with vampirism. Rather than gradually escalating Milo's descent into blood-sucking, O'Shea opens his film with his young anti-hero in the act of draining blood from a victim in a public bathroom, before vomiting violently as a result of the act. But Milo is no vampire; he simply desperately wants to be one. He can survive in daylight and live without ingesting blood, but he marks a calendar with a schedule for supping the red stuff regardless. He views vampirism the way fanatics view religion - it's his calling, and he's so far committed it seems there's no turning back. That's until Milo meets Sophie (Chloe Levine), a troubled young girl who lives with her abusive grandfather in the same apartment block. Unlike everyone else, Sophie finds Milo's odd personality charming, and she's happy to sit with him and watch videos of animal slaughter and listen to him drone on in nerdish fashion about the 'rules' of vampirism while she adds a much needed woman's touch to the apartment he shares with his slacker brother. Milo falls for Sophie so heavily that he neglects to keep track of his kill calendar, but how long before his violent urges return? 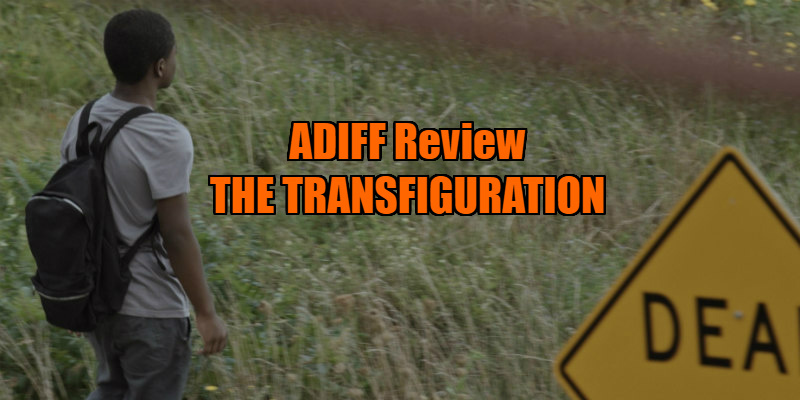 Tender, touching and tragic, The Transfiguration gives the vampire drama a much needed transfusion. Like so many classical gothic horror stories, it's a tale of doomed love, and the romance is so tangible it makes the impending tragedy all the more impactful. Milo and Sophie are one of the screen's great recent couples, and newcomers Ruffin and Levine embody them with a vulnerable, melancholy charm that makes it impossible not to warm to the pair. Though we see Milo commit some of the most heinous acts imaginable, we never lose empathy for him, and we're always rooting for him to embrace the possibilities Sophie offers. O'Shea's movie may play best to genre buffs (it's like Moonlight for horror fans), but it offers more humanity in its low-key moments (reading Twilight to keep your girlfriend happy might be the most romantic gesture a young man could make) than you'll find in the most acclaimed and awards foisted of mainstream dramas. Milo's bedroom/vampire shrine features a bookshelf adorned with bootleg VHS tapes of classic (Near Dark) and not so classic (Dracula Untold) vampire movies. 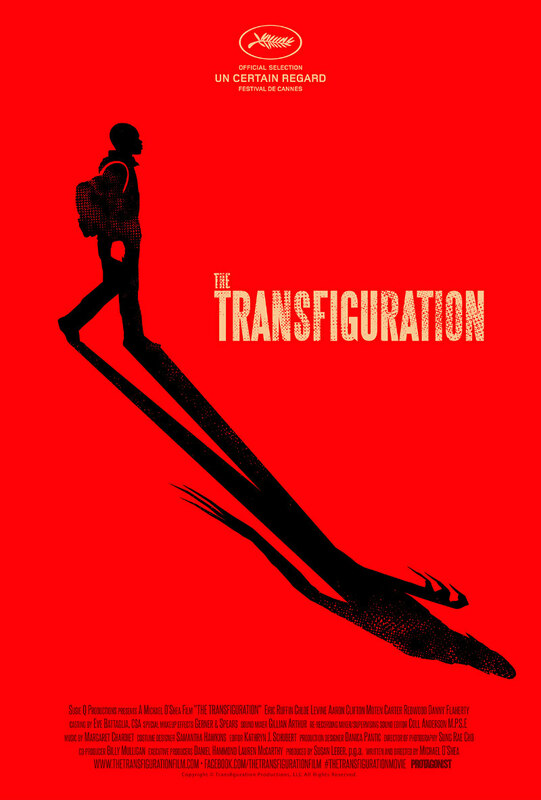 No doubt many horror obsessed teens will add The Transfiguration to their own collections. May they each find their own Sophie too. The Transfiguration played at the Audi Dublin International Film Festival. It opens in UK cinemas April 21st.